Happy Christmas and New Year to one and all of our members. 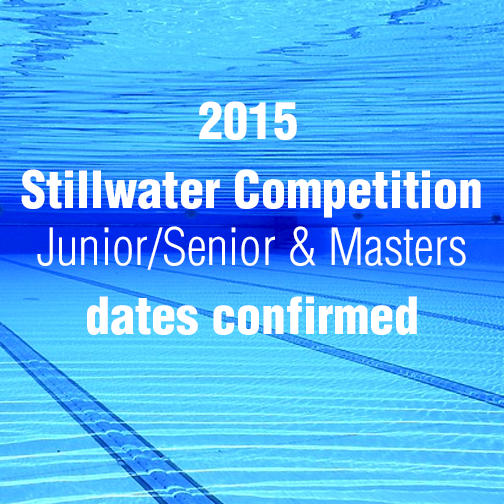 Irish Water Safety (IWS) have confirmed the dates for the Stillwater Competition for 2015 as 14th February 2015- Venue University of Limerick. Sligo Surflifesaving competitor and experienced lifeguard, Shane O’Doherty has kindly committed to overseeing the training sessions for the Junior/ Senior and Master Sessions for the upcoming competition. Shane has arranged 5 training sessions to commence on Monday 12th January 2015 running for 5 weeks each Monday to the 9th February 2015, inclusive. Training sessions are to be held in the Regional Sports Complex and will run from 9:50 p.m. (Sharp!) to 10:50 p.m. Please note that any organised training sessions will not provide swimming lessons and will focus exclusively on specific IWS stillwater competition skills only. On – line registration will be available on the week commencing the 5th January 2015 and will remain open for a limited period so please check in here on the website or on our Facebook page for updates. The cost of entry will stand at €20.00 per entrant which will cover pool hire and entry into the competition. It is necessary that all competitors entering the competitions hold a white Sligo Surflifesaving hat. If you do not have one or have lost it, hats are available at a cost of €5.00. manikin to the surface. The competitor carries the manikin to the finish edge of the pool. edge and tows it to the finish. manikin within 5 m of the turning edge and tows it to touch the finish edge of the pool. located in the water approximately 12.5m distant and pulls this “victim” back to the poolside. hands, while being towed 50 m by the fourth competitor to the finish. The competitor swims 25 m freestyle and then dives to recover a submerged manikin to the surface within 5 m of the pick­up line. The competitor then carries the manikin to the finish edge of the pool. located at a distance of 17.5m. The competitor surfaces the manikin within the 5 m pick­up line, and then carries it the remaining distance to the finish edge of the pool. The competitor swims 50 m freestyle wearing fins and then dives to recover a submerged manikin to the surface within 10 m of the turning edge. The competitor carries the manikin to the finish edge of the pool. The competitor swims 50 m freestyle with fins and rescue tube. After touching the turning edge, the competitor fixes the rescue tube around a manikin floating at the surface at the edge and tows it to the finish. manikin. In the water, the competitor dons fins and rescue tube and swims 50 m freestyle. within 5 m of the turning edge and tows it to touch the finish edge of the pool. In this timed event, the competitor throws an unweighted line to a fellow team member located in the water approximately 12.5m distant and pulls this “victim” back to the poolside. The first competitor swims 50 m freestyle without fins. The second competitor swims 50 m freestyle with fins. The third competitor swims 50 m freestyle pulling a rescue tube and after touching the wall, passes the harness of the rescue tube to a fourth competitor who wears fins. The third competitor, playing the role of “victim,” holds the rescue tube with both hands, while being towed 50 m by the fourth competitor to the finish.